Ubuntu Linux is one of the most widely used and deployed linux distribution powered by canonical. Ubuntu is all set to release their latest stable release of version 11.10 code named Oneiric Ocelot with in few days. I am really excited to see the new Ubuntu 11.10 stable release. 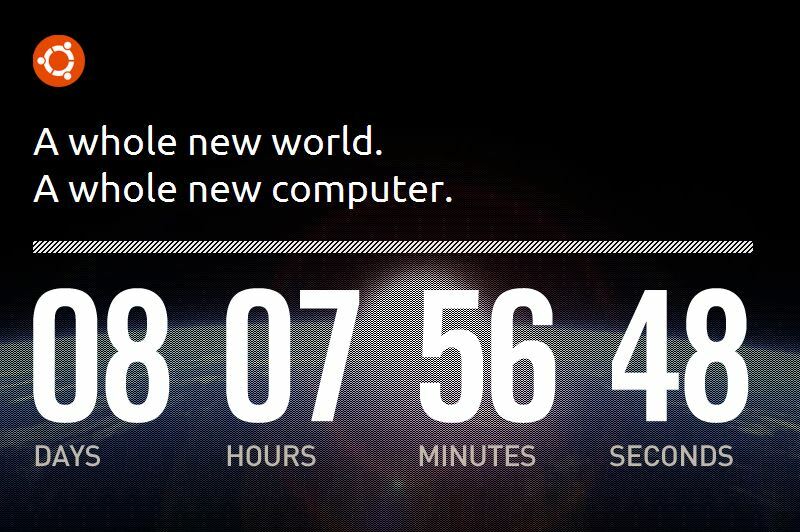 The official countdown for Ubuntu Linux 11.10 is already begun. Now wait for only 8 more days to experience a whole new world! A whole new computer! “This Is the Countdown” website ;Created by Ubuntu Adverts team showing the count down for the upcoming release Oneiric Ocelot Ubuntu 11.10.Release candidate for Ubuntu 11.10 is still due but we are expecting it will be pushed out this Thursday.The final stable version of Ubuntu 11.10 will be released on October 13th this month. I think it is the best time to support the ubuntu community by sharing the release info with your friends and readers.